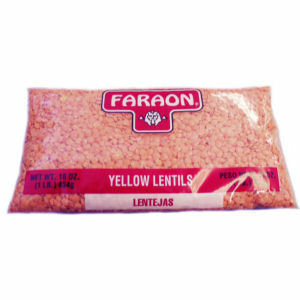 Our Yellow Lentils are also known as Red Lentils. With their bright orange color, these lentils actually cook yellow. These delicious lentils are grown in the North West and are packed using the very best machinery, insuring you receive the finest quality. Our yellow lentils are so good, their actual cooking time is not very long. Great for vegetarian dishes. Appreciated by everyone, including nationalities such as Latinos, Middle Easterners, Canadians and Eastern Europeans. Enjoy!